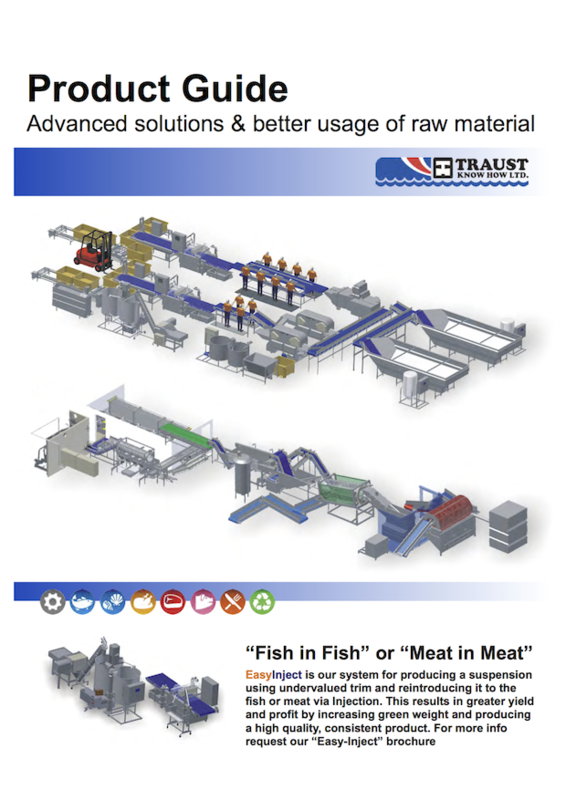 Easy Defrosting System - Traust Know How ltd.
Water circulating thawing process for various products such as cod, haddock, seith, shellfish, pelagic fish etc. The thawing process is done in batches. 5-40 ton batches depending on the size of the tank. A powerful pump circulates the thawing water through heat exchanger to reach effective and short thawing time. 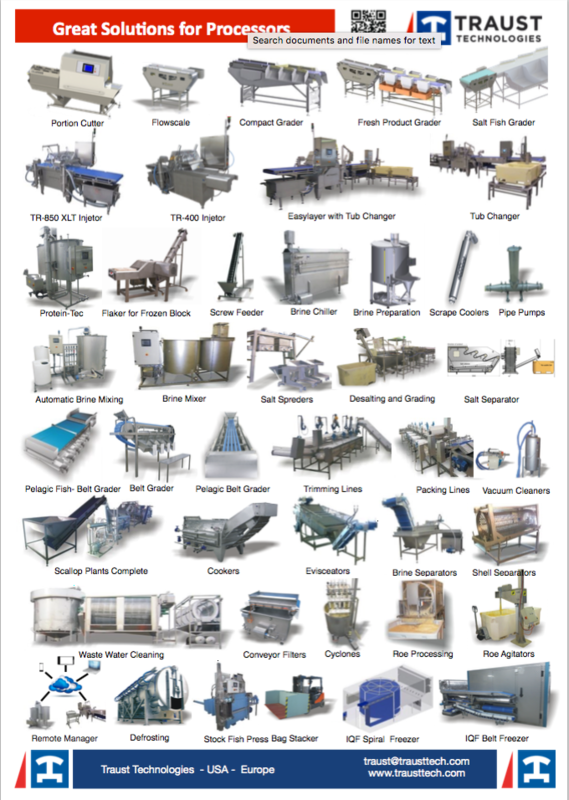 A PLS system controls the whole process from the beginning when the first fish block enters the thawing machine until the fish is fully thawed and discharged by conveyor. Multiply tanks system gives continuous flow in production controlled by the PLS. The thawing machine can be loaded by special conveyor or semi manual by special lifting and loading platform. Equipped with heat exchanger/electrical tube and control box with touch screen.